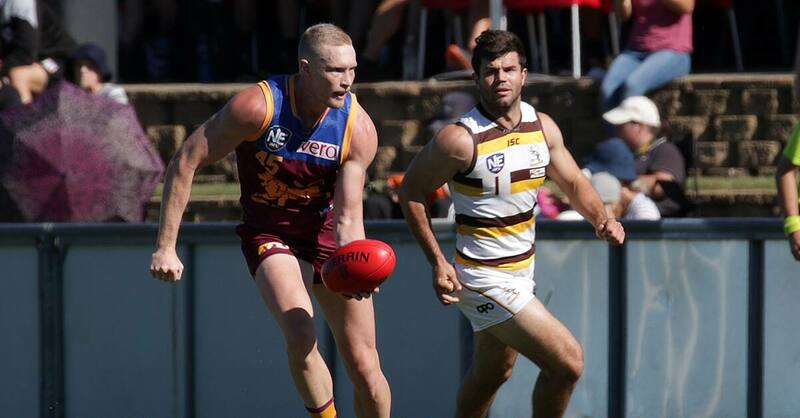 Graham Road will be buzzing this Saturday afternoon when the suburban ground hosts the sudden-death blockbuster between fourth-placed Aspley and fifth-place Brisbane Lions. Despite hosting Elimination Finals in 2015 and 2016, this will be the biggest game at the ground since the 2014 NEAFL Grand Final when Aspley beat Sydney in a thriller after the siren. The Hornets will be hoping to secure a spot in the Preliminary Final against Southport next week, after beating the Lions on the Sunshine Coast in Round 9. However, the Lions are looking very dangerous after recovering from a mid-season form slump. The Lions have remained undefeated in their last six games of the home and away season. The full teams for Saturday's clash will be announced Friday morning. The Lions will be limited to playing only 16 listed players. 1. The battle between NEAFL MVP Matt Payne’s midfield and essentially the Lions’ premiership-winning midfield from last year will be epic. Aspley’s midfield won the battle back in Round 9, winning the clearances by 12, which along with contested ball, was the main reason they won. But you cannot underestimate the class and experience of Claye Beams, Rohan Bewick, Ryan Bastinac and ruckman Archie Smith who know how to perform on the big stage. 2. It is a big week for Aspley key-forward Jono Freeman. The former Lions player has been solid this year, without being a standout. Kicking three important goals in Round 9, Aspley will need a similar output from him this week, if they are to beat Brisbane again. Freeman missed the Hornets final home-and-away match against Canberra last week, but is expected to be back in the side come Saturday. 3. Converting inside 50s into goals is going to be crucial, especially because the wind is always a factor at Graham Road and both sides have good rebound defenders. Brisbane (25.3 per cent) were ranked second for goals per inside 50 in the home-and-away-season, and Aspley (21.9 per cent) were ranked seventh. Brisbane Lions Academy player Cody Stackelberg has had the unique pleasure of playing for both sides this year. The Sandgate junior will be playing for the Lions this week though, where he has established himself as part of the exciting young forward line that Brisbane is developing in the NEAFL. The 185cm forward might not have made the Allies or been invited to any draft combines this year, but if his good form in the NEAFL continues into the finals, you never know what could happen. Defending the premiership will be the Lions' goal. The Lions have never lost a NEAFL final, winning all nine games they have played, including three Grand Finals.